Scan and upload the documents and maintain them in a safe centralized repository. Set user roles as per your need. Allow document upload, read, write, approve or define departmental admins. Give access to single user or multiple users. You choose the number of licenses required. Dashboard to define custom groups and create multiple sub-groups & mini-groups. Premium security feature that encrypts the documents while storing and ensures they are safely stored. Helps you find the versions of documents stored under a particular category. 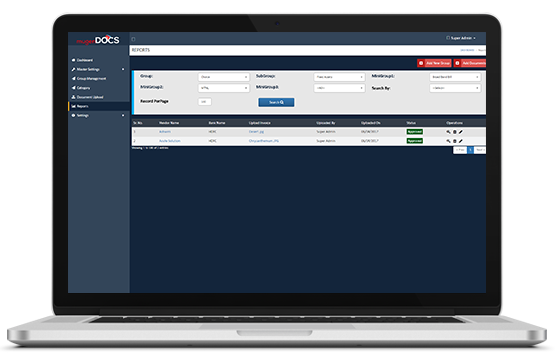 Pull reports, whenever you wish to take a stock of documents stored on MuGenDocs. Happy to see all documents now in one single safe custody of MuGenDocs. 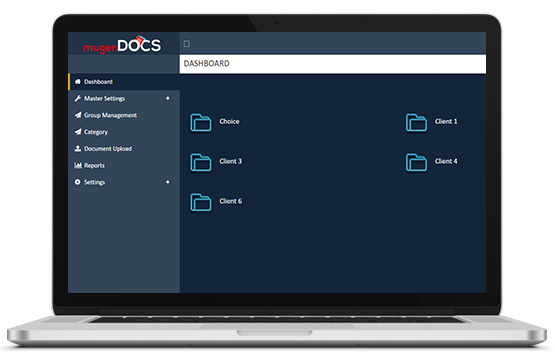 MuGenDocs has reduced the burden of physical document storage! Cool solution! Simple, safe and User-Friendly; worth the money spent. MuGenDocs is a scalable document management solution (DMS) which maintains a centralized repository of documents. It has multi-level security which meets every organizations security need. MuGenDocs is a flagship software product of MuGenesys Pvt. Ltd., and is built for businesses as well as individuals who are looking to store and manage documents online. © 2017 MuGenesys Software Pvt. Ltd.